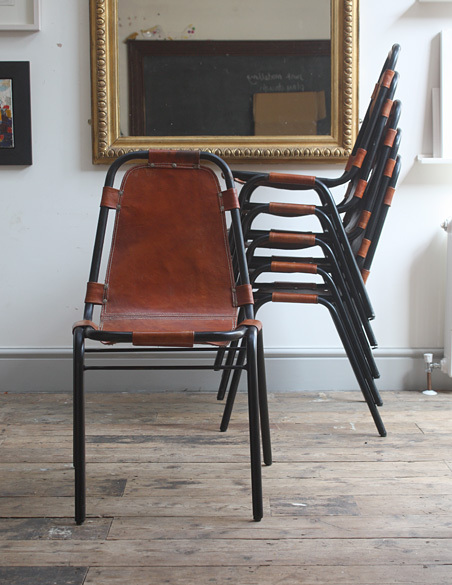 A set of six chairs designed by Charlotte Perriand in the 1960s for the Les Arcs ski resort. 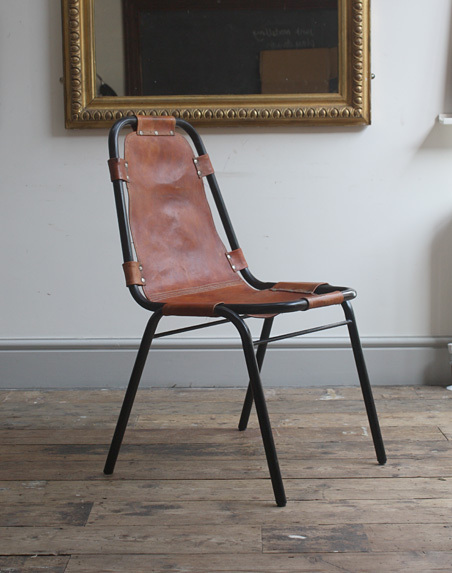 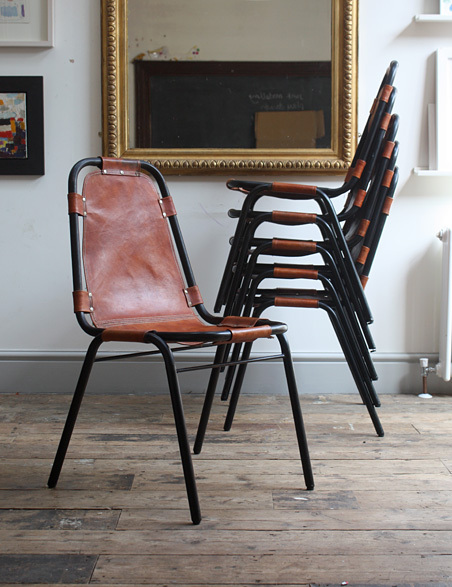 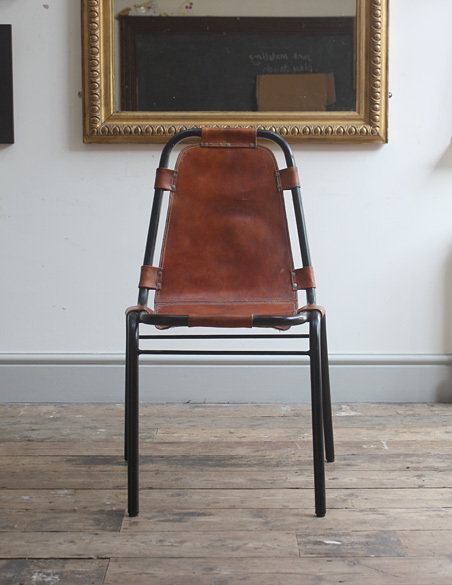 Black frames with tan leather sling seats and metal fixings. 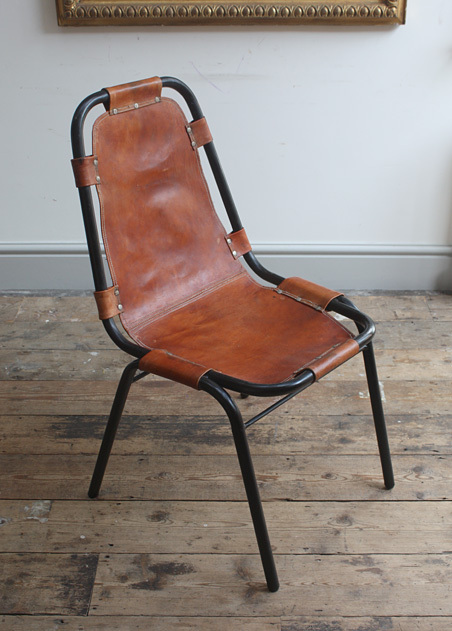 In good condition, the chrome is clean, the seats are strong with some patina, wear and marks. 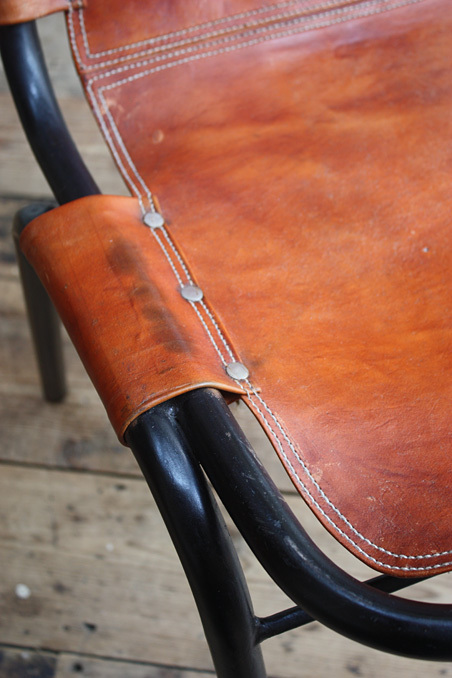 There is some light surface rust underneath the leather straps. 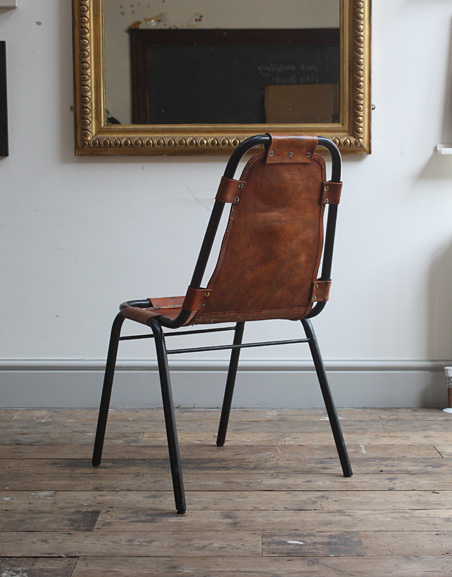 Dimensions: 50cm wide x 57cm deep x 90cm high x 46cm seat height.